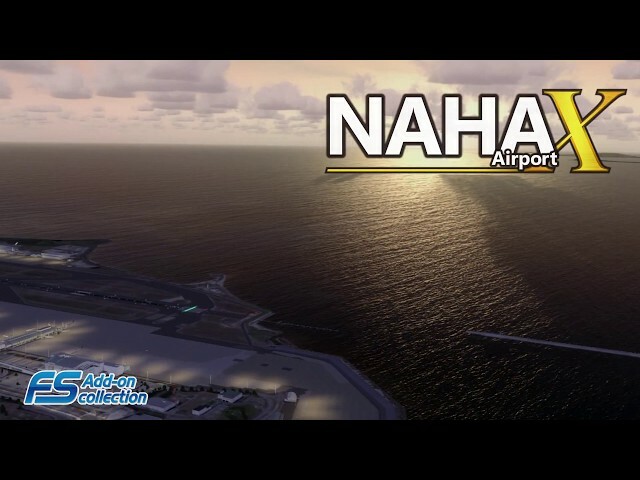 "Naha Airport" is the door to the globally renowned resort of Okinawa, and at the same time it is a crucial airport to Japan as the JSDF(Japan Self-Defense Forces) bases for land, sea, and air are located there. 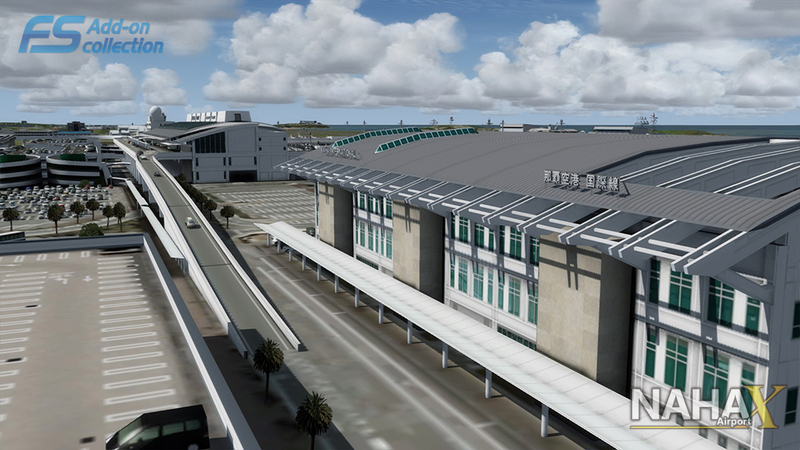 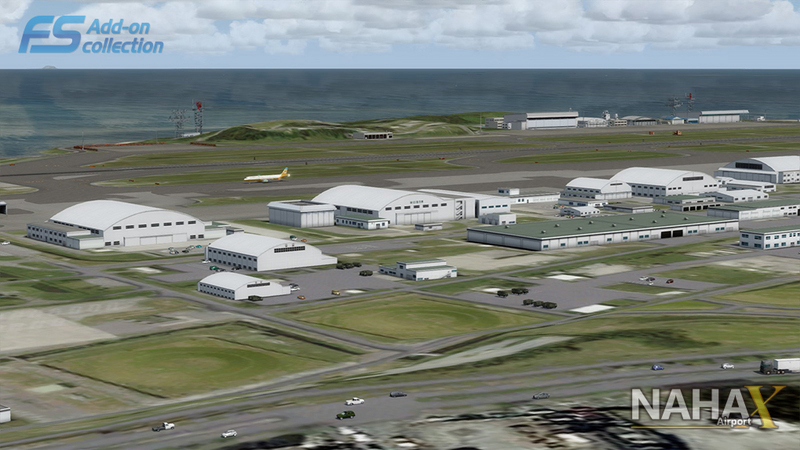 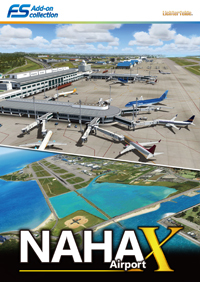 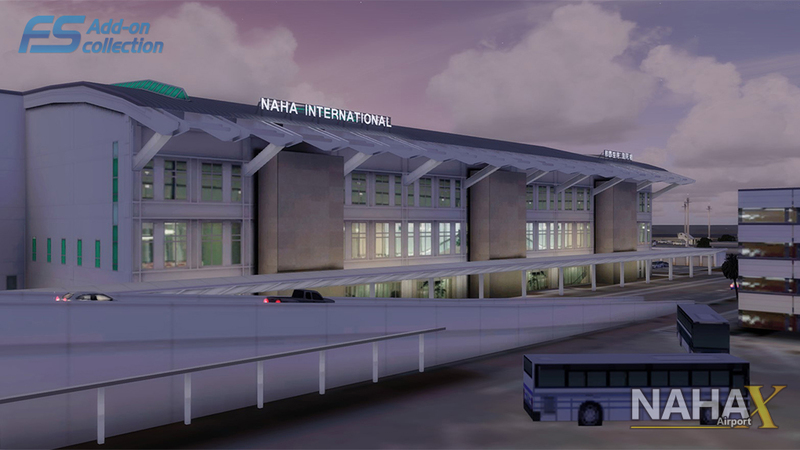 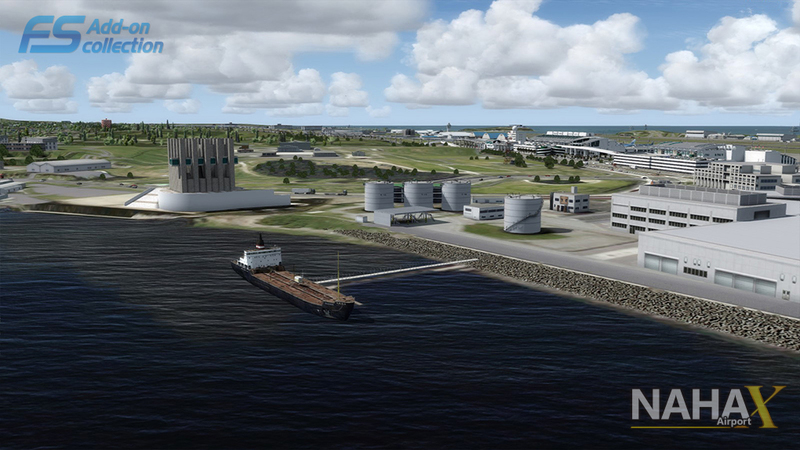 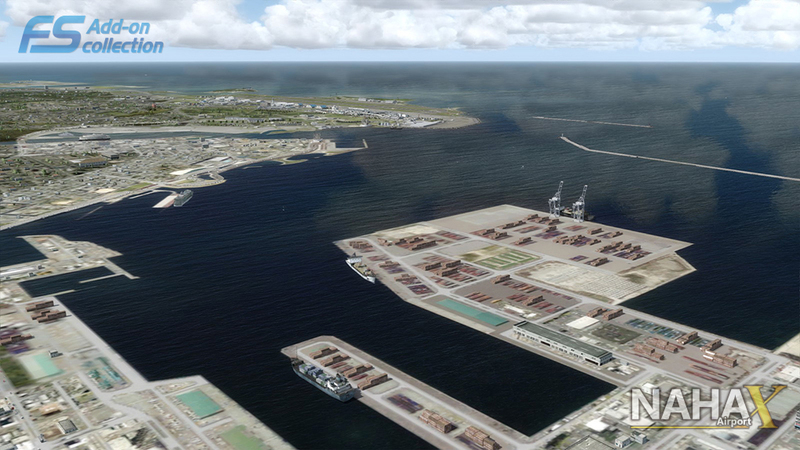 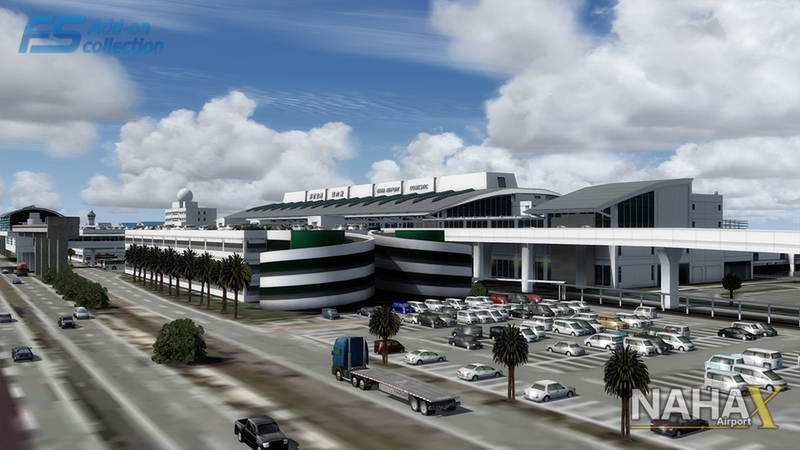 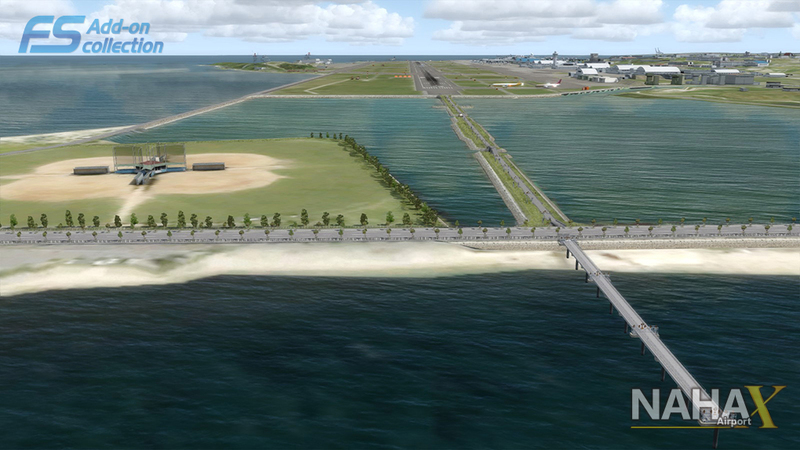 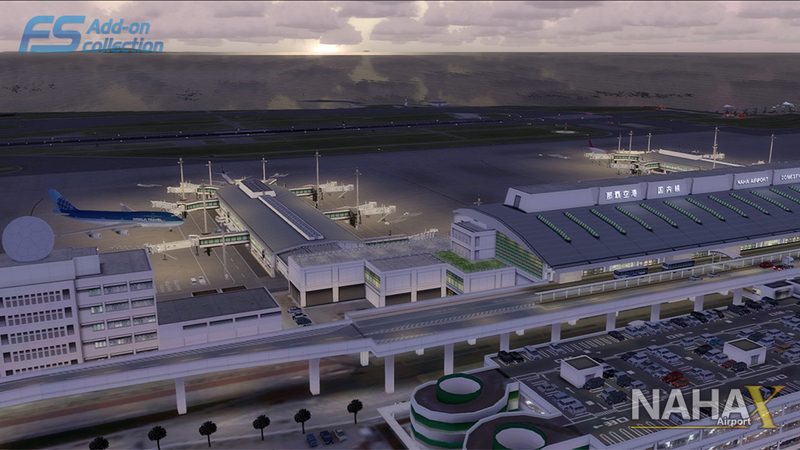 This product covers and represents Naha Airport based on meticulous research. 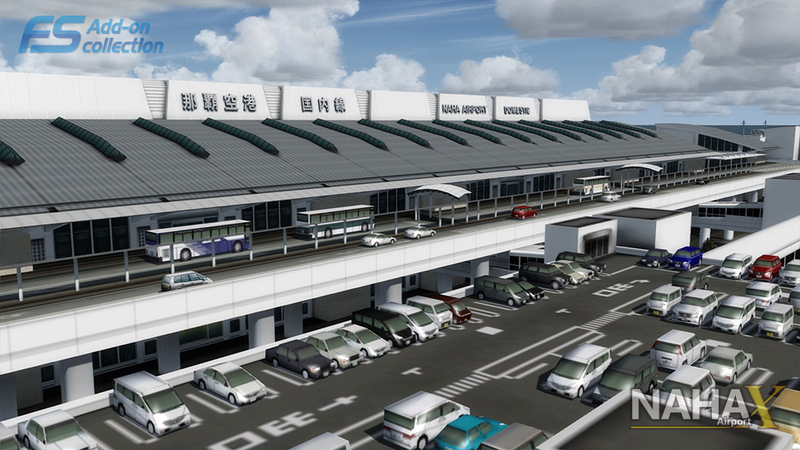 You can fully enjoy the new international terminal just opened in 2014 situated adjacent to Senagajima island, along with the sea full of shining emerald green coral reefs. 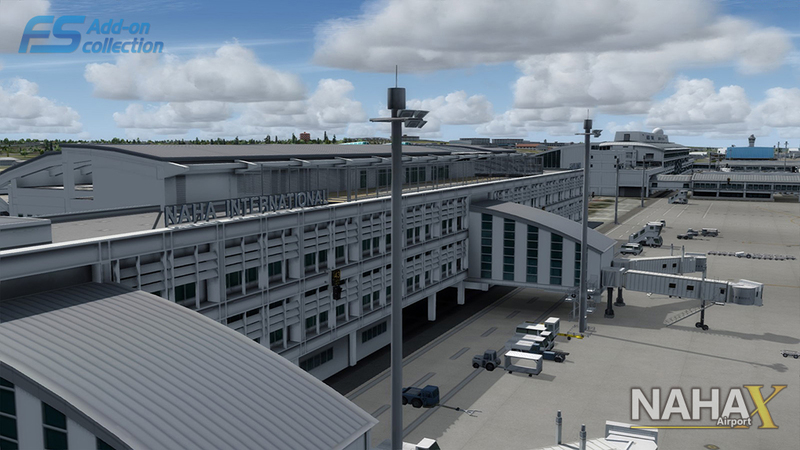 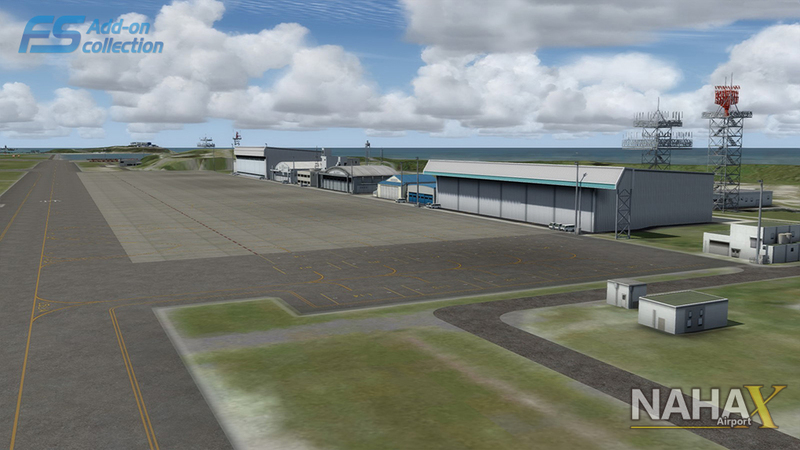 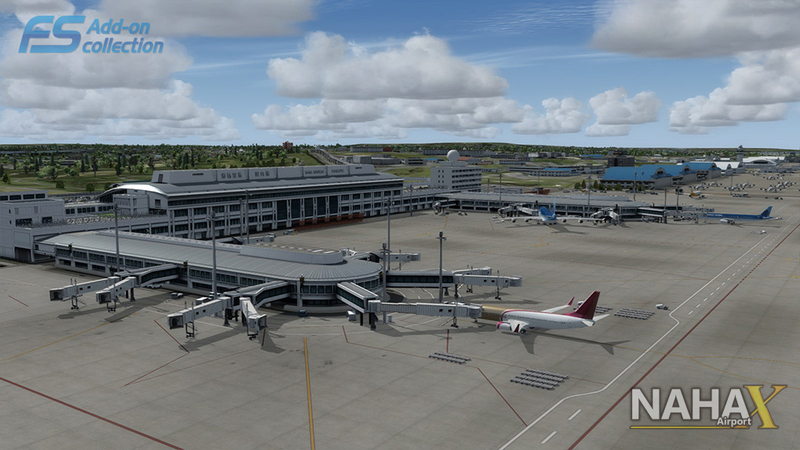 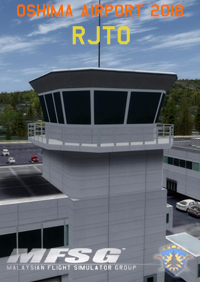 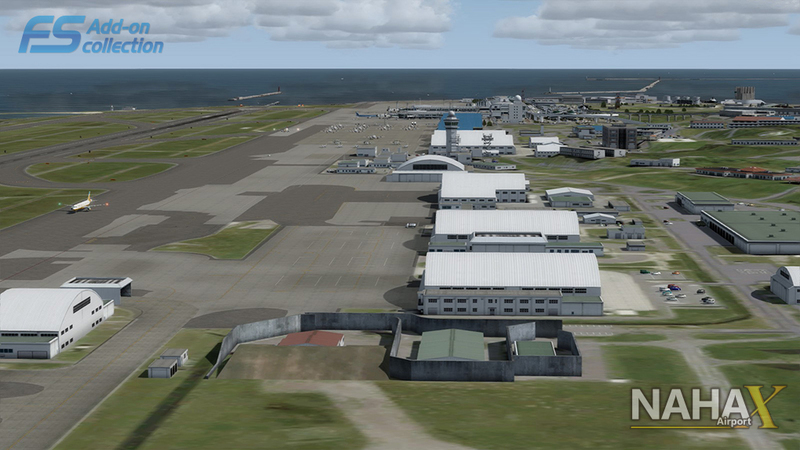 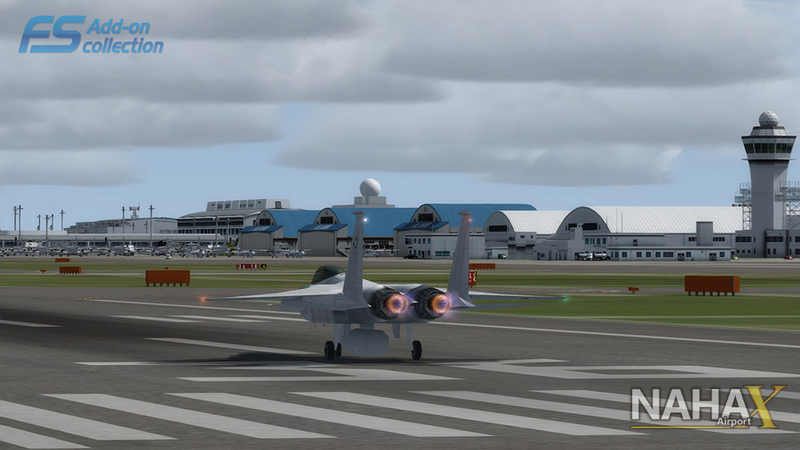 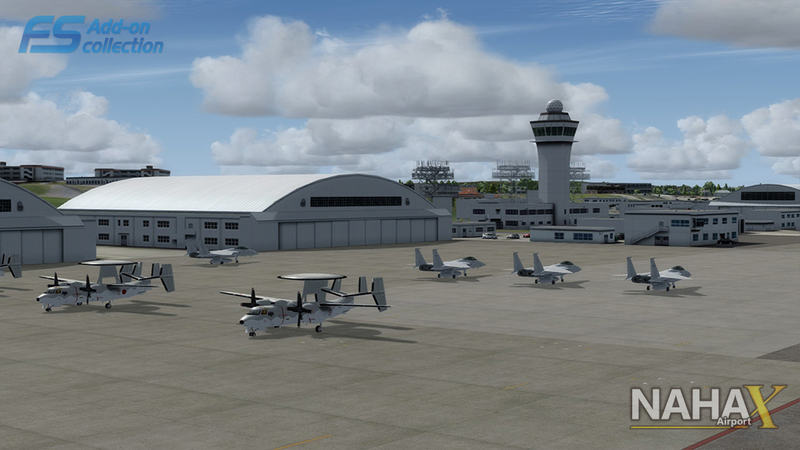 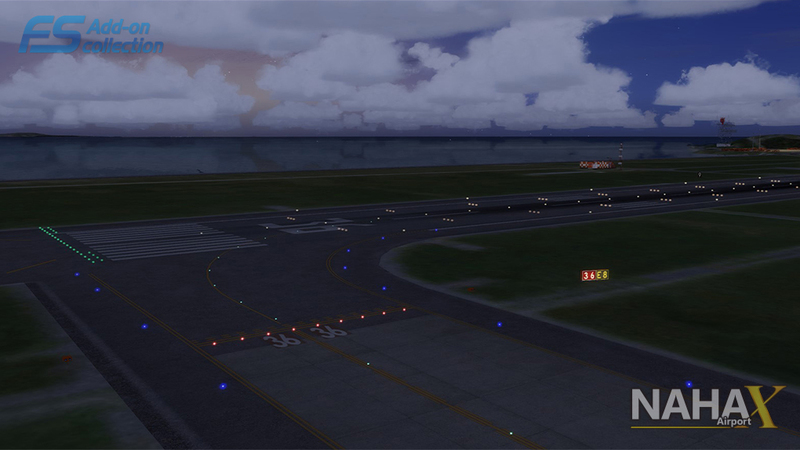 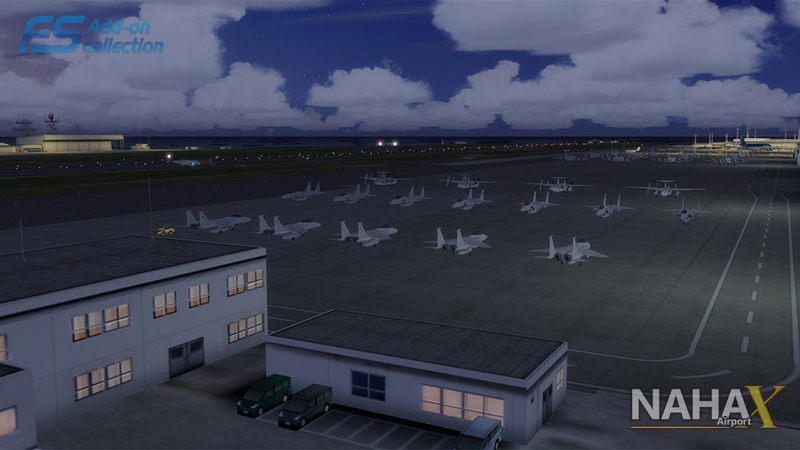 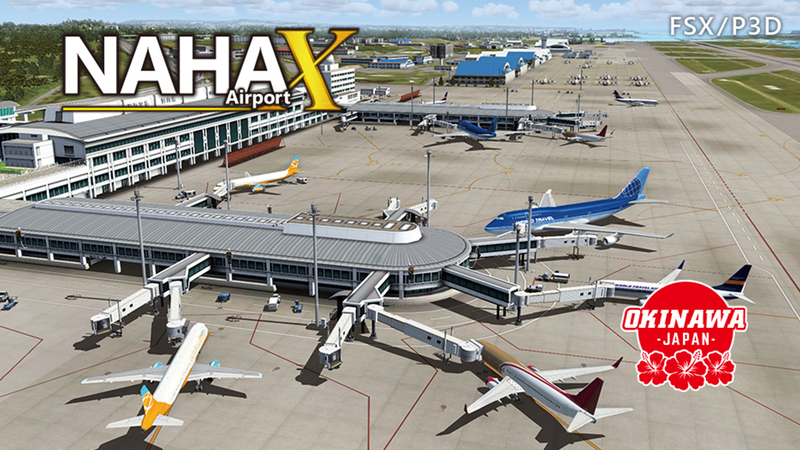 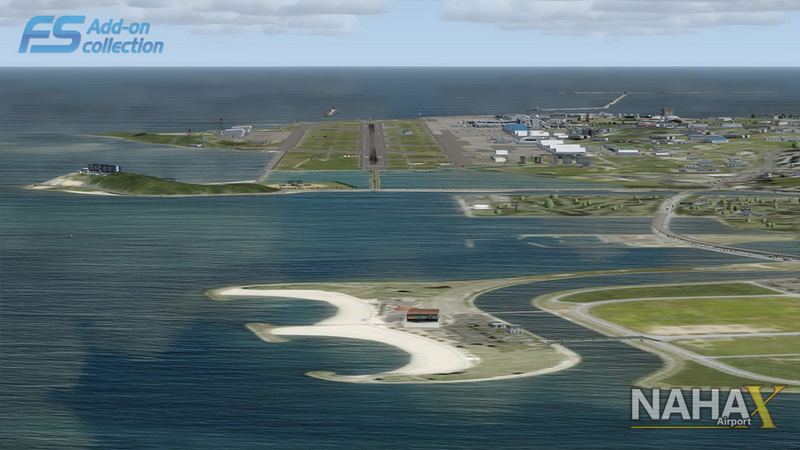 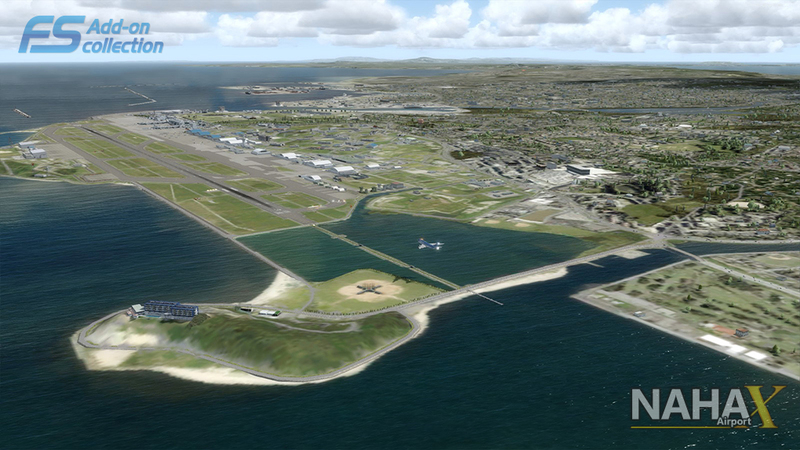 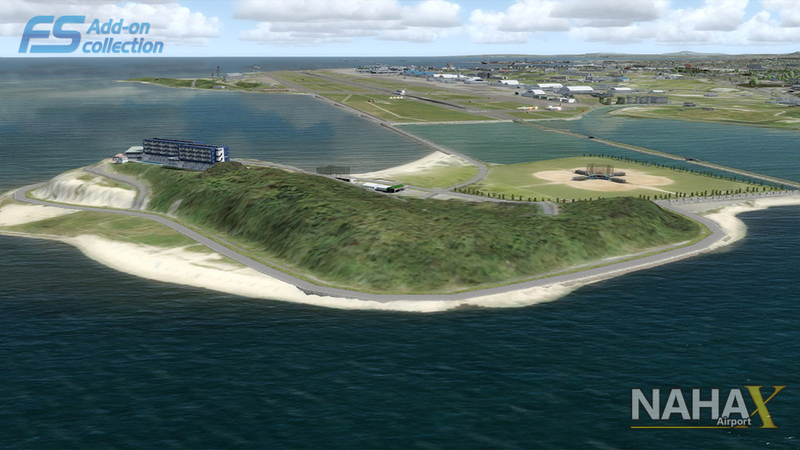 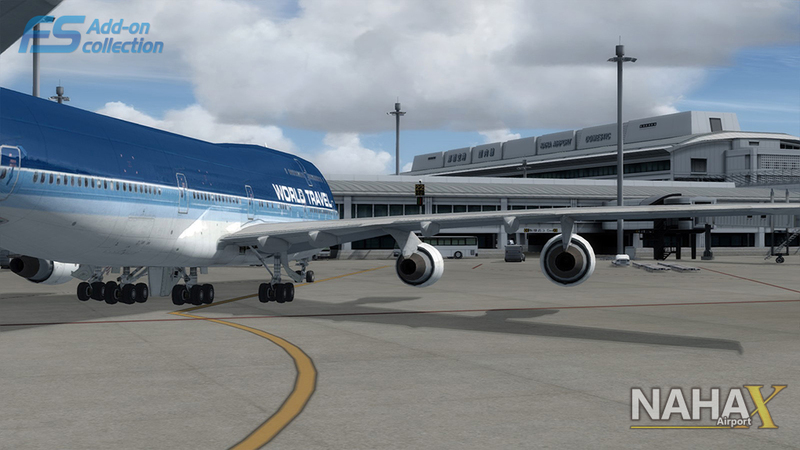 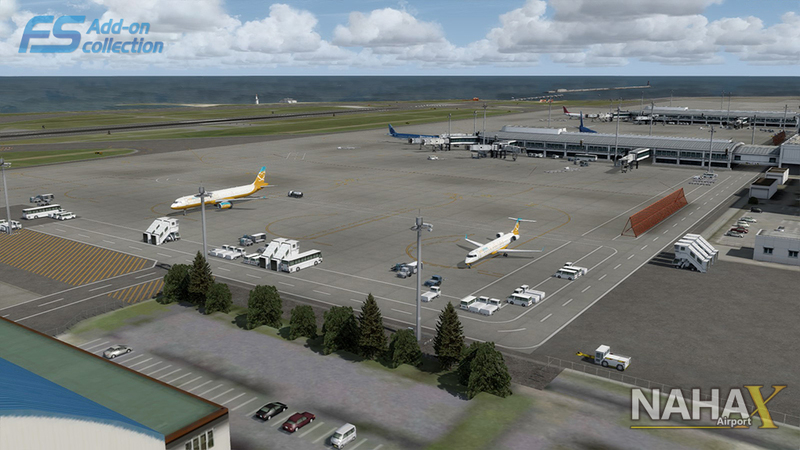 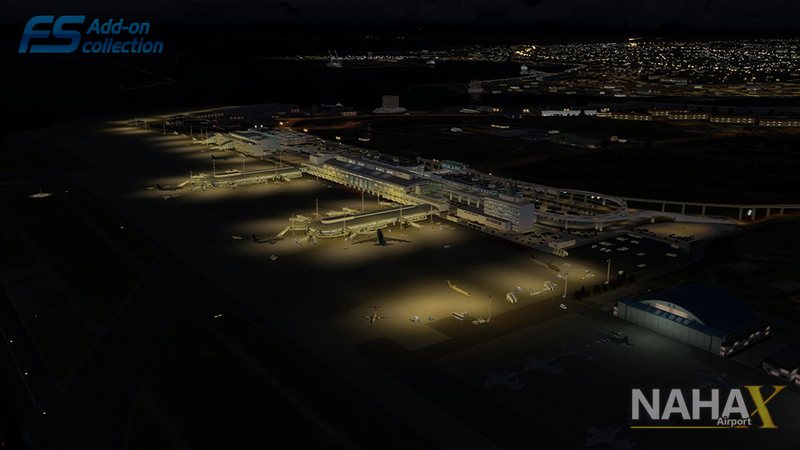 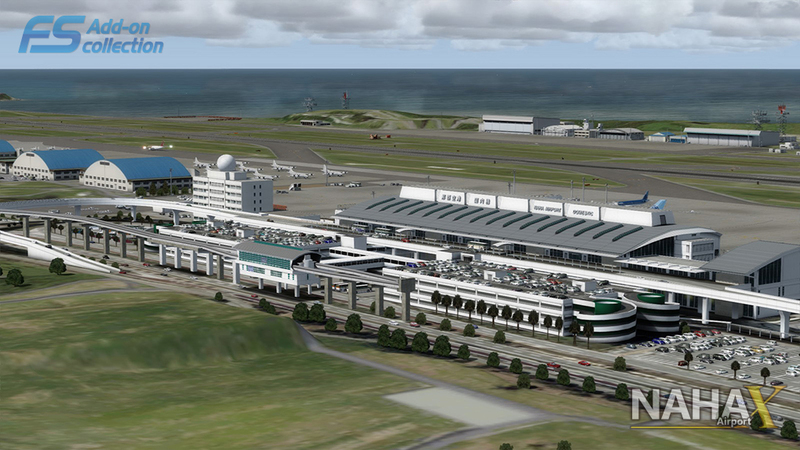 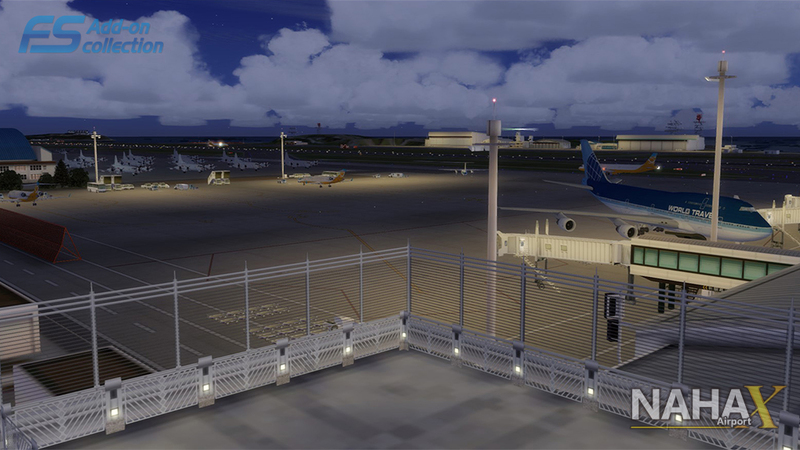 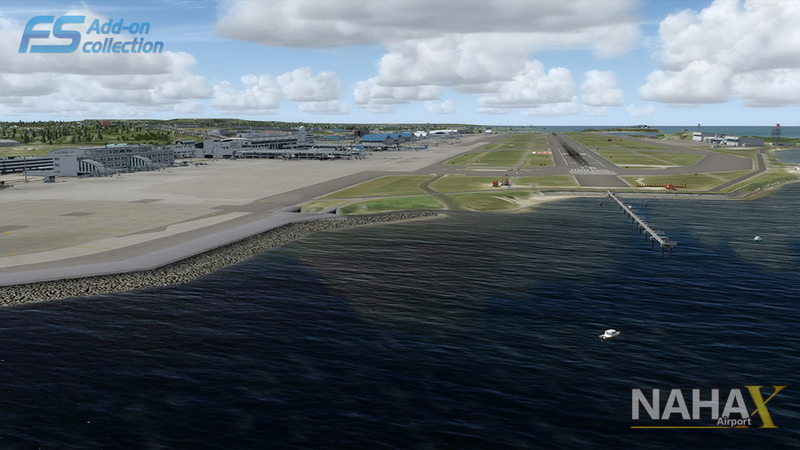 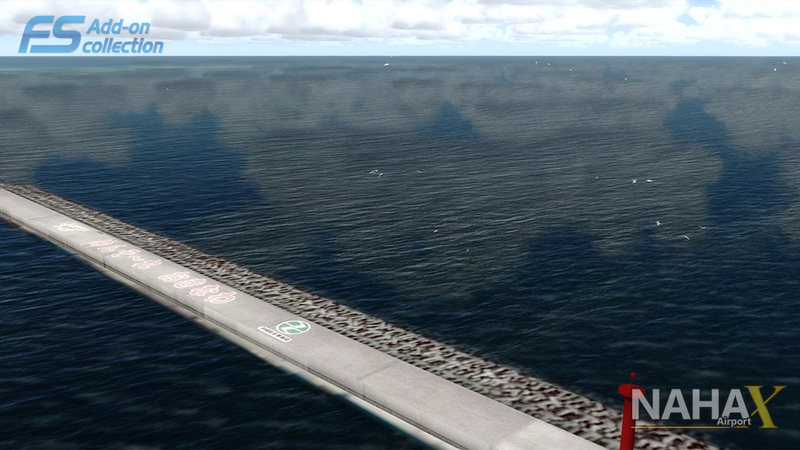 Everything around the airport has been accurately reproduced in pursuit of realism excellence, including surrounding facilities such as the JSDF Naha base, apron markings or runway touchdown zones, even a taxiway sign of higher visibility. 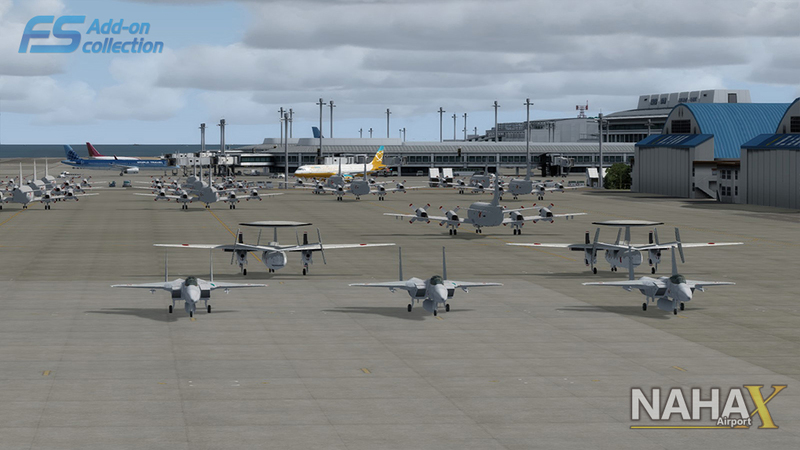 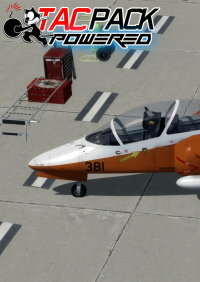 Further, P-3C of JMSDF(Japan Maritime Self-Defense Force), F-15J and E-2C of JASDF(Japan Air Self-Defense Force) have been incorporated as AI aircraft traffic. 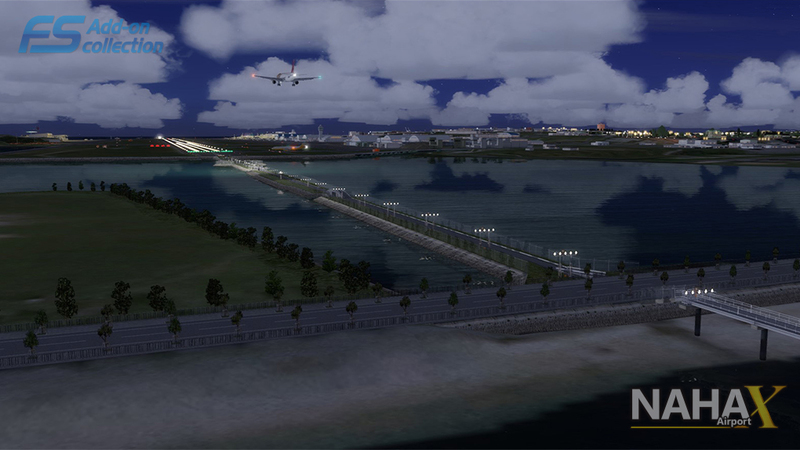 Nice scenery with great performance. 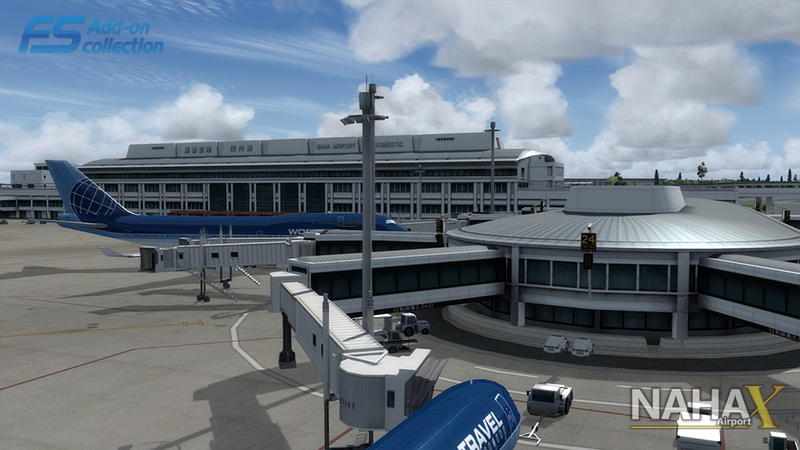 I have visitid that airport many times now. 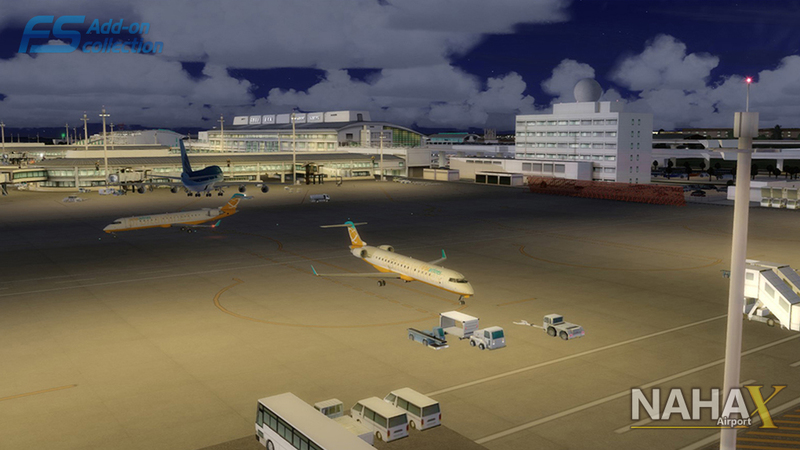 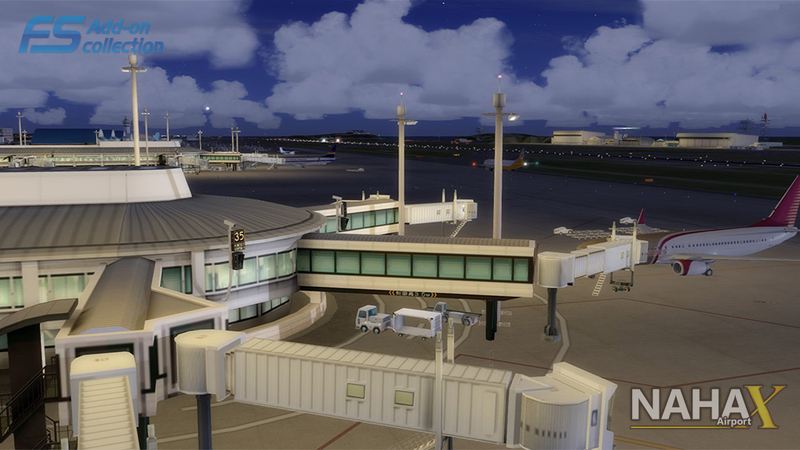 Another nice airport from TBrain. 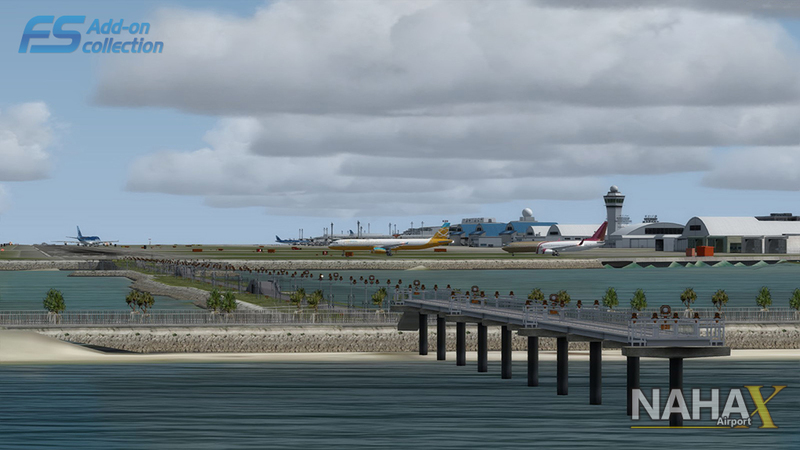 A deserving location in the Asia network and a good rendition of the airport/military base.I think the price is a little high for the product but simply my opinion. 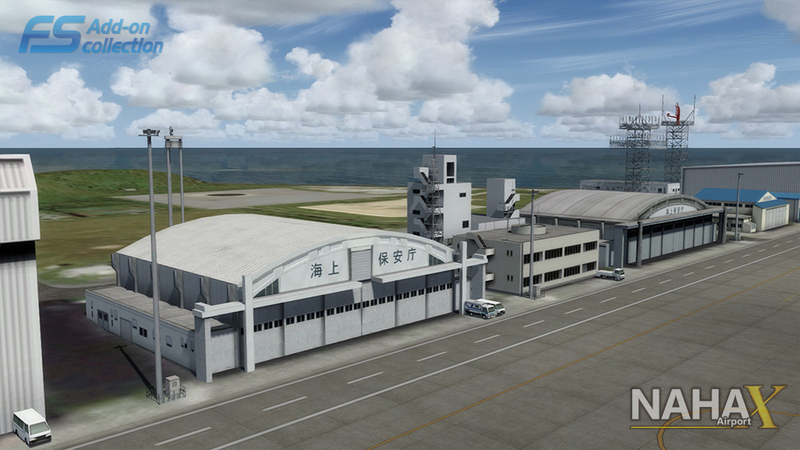 Great level of detail and having been to Naha its a well worthwhile addition. 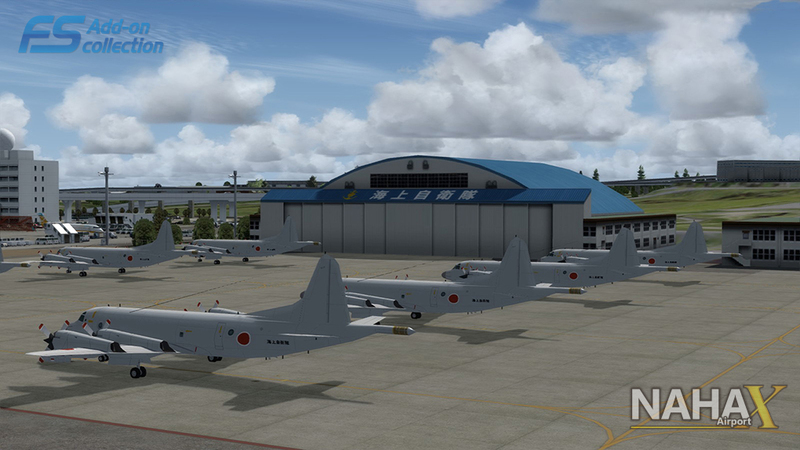 The JASDF base is well represented. 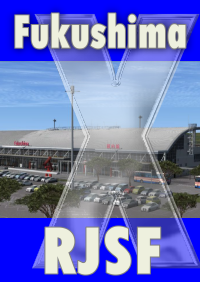 y base.I think the price is a little high for the product but simply my opinion.